Personal Development: What is interesting about personal development is that it is 'personal'. It is a decision a person first decides within self, before taking action. The decision could be positive or negative. It could be about taking action or remaining passive. approval of others. Just a bit of encouragement today from development synergy. 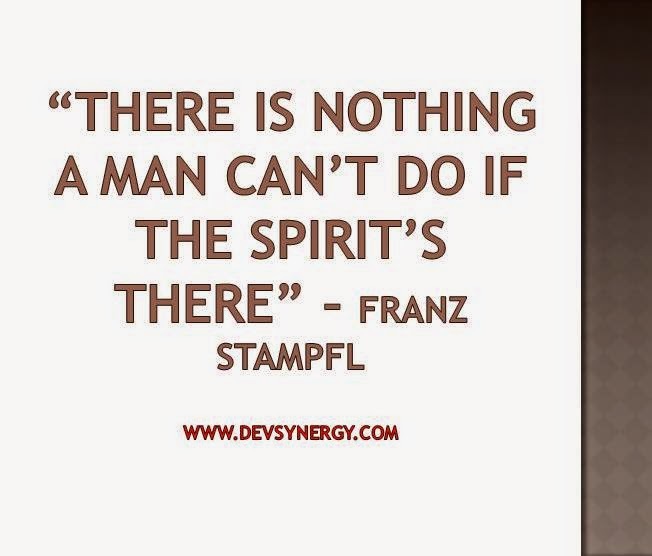 We will like to encourage every person out there, not sure of their strengths and abilities, to develop a 'can do' spirit today, as this is where personal development starts. When you believe you CAN, you will!.